Tropical and extra-tropical storms are among the most destructive natural events on Earth. In the US alone, landfalling tropical cyclones are responsible for more damage and deaths than all other natural disasters combined. Growing coastal populations, urbanization, and rising sea levels magnify our vulnerabilities to storms, escalating the need for more accurate storm track, intensity and impact forecasts. Tropical storm track forecasting has shown steady improvement over the past 25 years due, in part, to the improvements in the global atmospheric forecast ensembles. But similar improvements in tropical storm intensity forecasts have lagged, in part due to the paucity of upper ocean data to define its heat content, and the uncertainty in the processes that influence the transfer of heat between the ocean and atmosphere. Tropical storm impacts, such as wind, rain, and storm surge, cannot be accurately forecast until both track and intensity forecasts are accurate. Rutgers deploys ocean gliders that gather critical data in the upper ocean, and transmit that data to shore even during the most severe storm conditions. 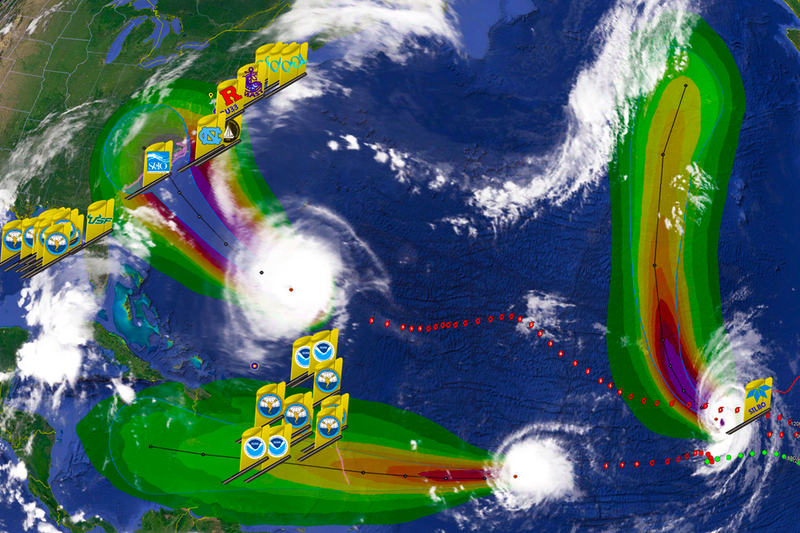 Rutgers is then able to send this data in near real-time to ocean model data assimilators and atmospheric storm forecasters to help them improve both current storm forecasts, and to improve their models for future events. Polar regions play an integral role in regulating the Earth’s climate and have a major influence on biogeochemical cycles. 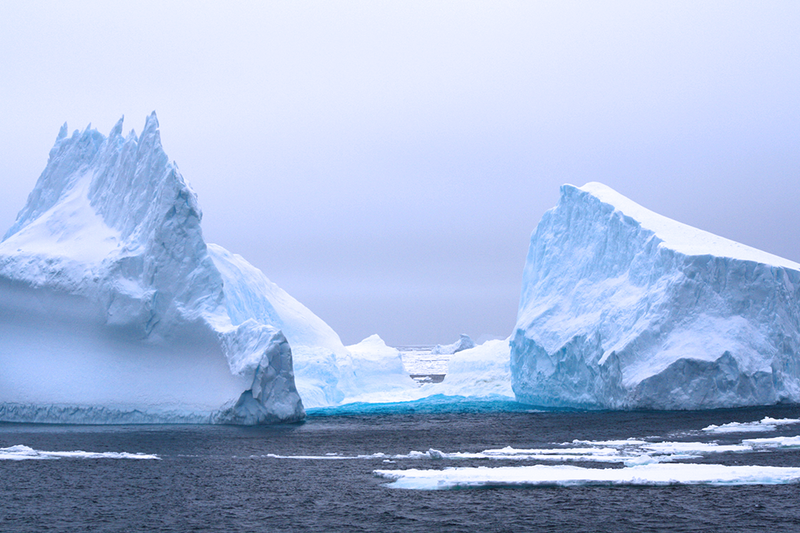 Both the Arctic and Antarctic are particularly vulnerable to climate change. The loss of sea ice and permafrost and the collapse of glaciers as a result of climate change will impact the rich diversity of biota in these ecosystems as well as sea level rise. Our department has a very active polar research program, supported by multiple NSF grants, and involving many students from various disciplines. Rutgers scientists are engaged in both Arctic and Antarctic research using both regional and global climate models and via large collaborative efforts including GEOTRACES and the Palmer Long Term Ecological Research program, and utilize fieldwork opportunities in these regions to enrich undergraduate and graduate education.